According to Popular Science nearly 41 percent of Earth's land is now used for agriculture, yet we're on the brink of vast population growth, from 6.7 billion people today to an estimated 9.2 billion by 2050, with the majority living in cities. Dickson Despommier, Professor of Environmental Health Sciences and Microbiology at Columbia University says the only way to make room for the enormous number of new carbon-sequestering trees we need in order to reverse current global warming trend is to change the way we grow our food. Classic farming methods used by our fathers are not good enough as they require too much land. 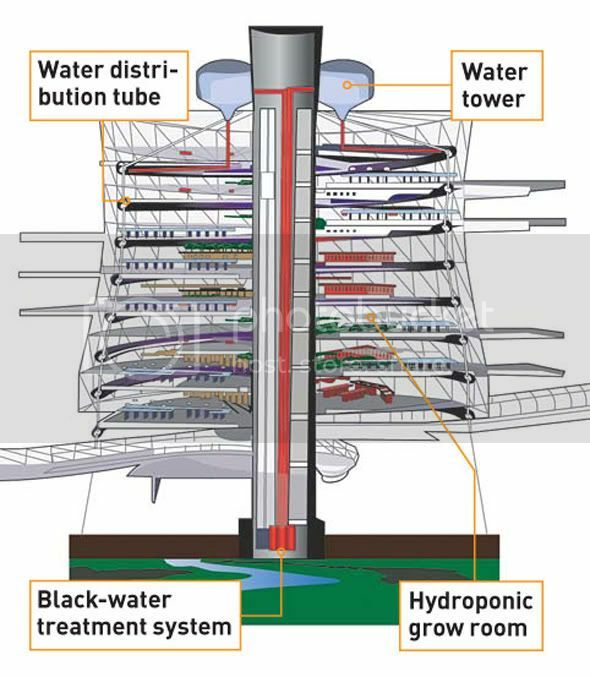 What we need is a new form of vertical farming: Skyscraper farms that provide organic food with no herbicides, pesticides or fertilizers. The plants will be placed in automated conveyor belts that move past stationary grow lights and automated nutrient-delivery systems. The first buildings would have to be subsidized, with energy incentives and tax incentives. We're talking about the equivalent of engineering a Saturn rocket. 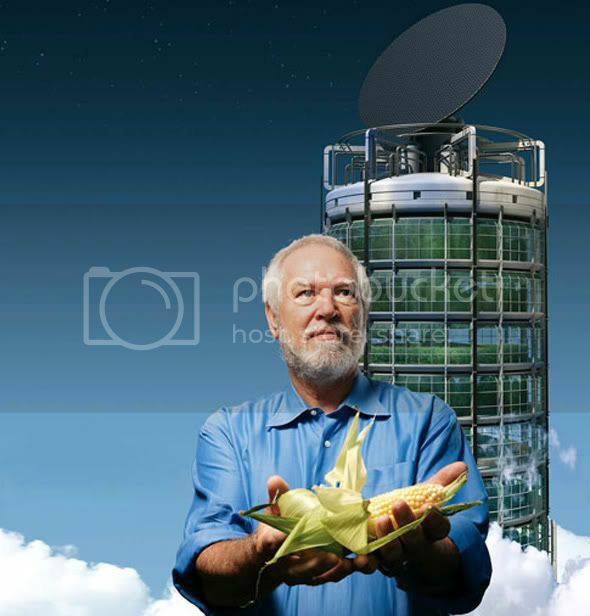 Also, according to the model designed by Despommier, the Skyscraper's energy is generated from a giant solar panel, with incinerators which use the farm’s waste products for fuel and all the water in the system is recycled. Sounds fantastic. but how much should all this cost? Apparently, previous experiments in similar biofarming show the cost is a major factor here. Biosphere 2 for example was brainchild of a Texas billionaire named Ed Bass who spent $200 million of his own money to construct it. This was in the eighties. In todays economy and technology such a project must cost much more. Despommier says it can come up to "billions"... Thus, it seems the best chances for all of us to see the first Skyscraper farm is in a country that is both rich and short in usable land e.g. Japan, Iceland, or more likely Dubai.